Put on your most comfortable walking shoes and take 10,000 steps through Alamitos Beach, Long Beach and explore some quirky sites! 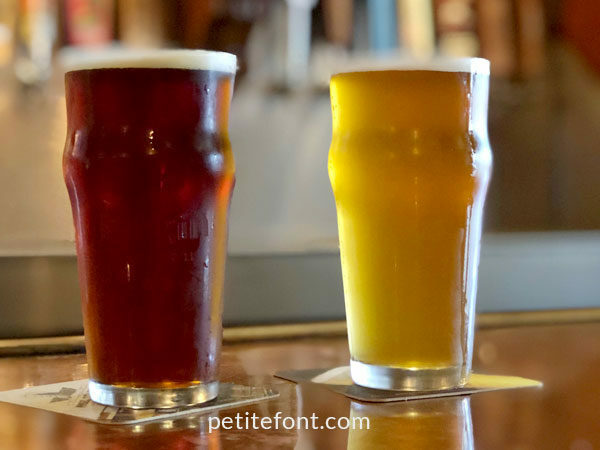 Having just recently moved to Long Beach, California—the city both Sublime and Snoop Dogg called the LBC—I’ve been very curious about the area. So much so that I embarked on a 100-day quest to explore it! My #The100DayProject is both about exploring the city AND getting 10,000 steps daily. The walking part is important here because parking in this area is, in a word, terrible. 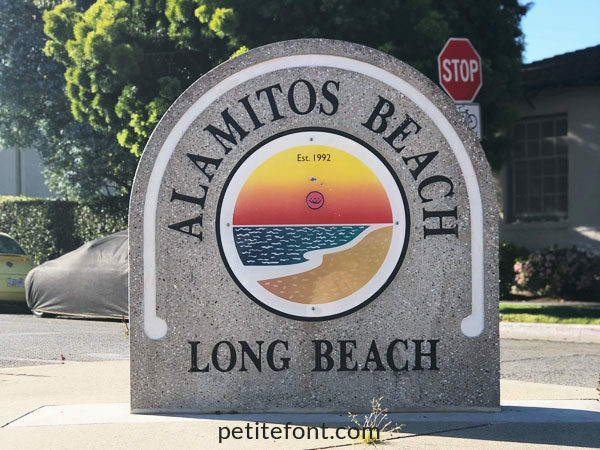 The easiest place to start is in our own neighborhood, Alamitos Beach. We’re located just east of Downtown Long Beach and just north of the water. It’s a small neighborhood, but there’s lots to do and see! ﻿Meant to Be Cafe is a recently reopened coffee shop on the corner of Bonito Ave and East Broadway. They have a unique menu for breakfast and lunch (with decadent French toast or even White Boy Tacos). The pride themselves on using only top line Italian roast for their cappuccinos and even sell some Italian provisions. 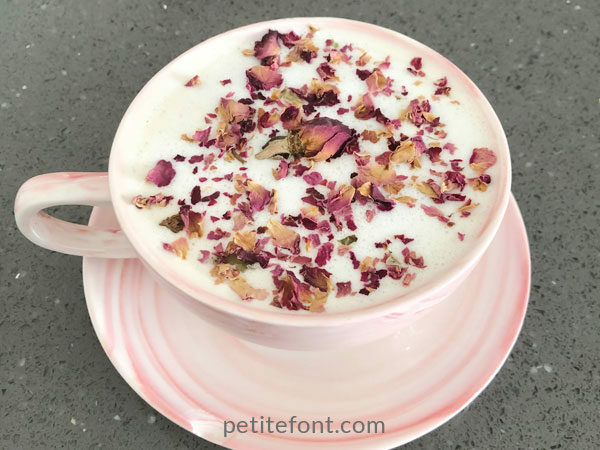 The rose latte is otherworldly! It’s topped with real rose petals. The adorable turquoise and grey interior is attached to an equally adorable Glow Getter boutique with a variety of clothing options. But since I don’t buy anything I can make myself, I’m steering clear of their very cute clothes. #rtwfaster for life, yo. Need something a little stronger than coffee? Try any of the number of dive bars dotting East Broadway. From Broadway Cocktail Lounge, to Sweetwater Saloon, to the Mine Shaft and The Brit, you’ll find a variety of cheap beers and or cocktails to suit your palate. Alamitos Beach wears its diversity on its sleeve. 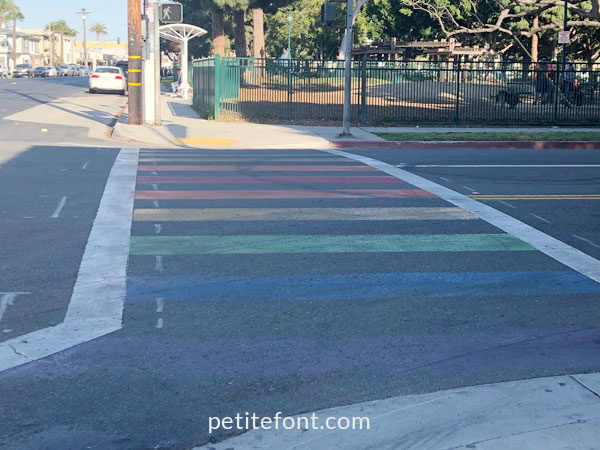 So as you’re cruising along Broadway you’ll be sure to enjoy rainbow crosswalks and flags at most establishments. Continue down Broadway up to Junipero Ave and take a left to head north a couple of blocks. 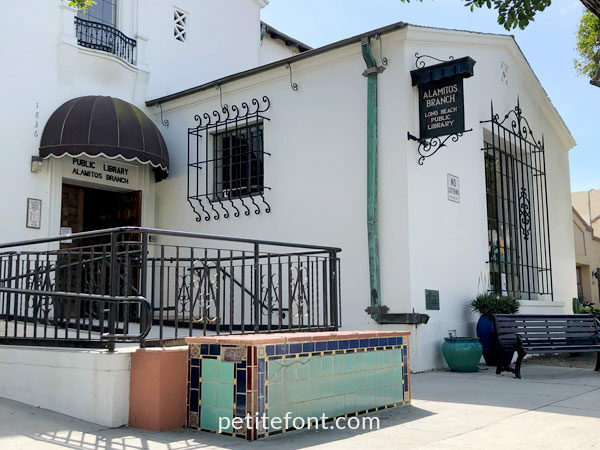 This will take you directly to the Alamitos-adjacent little enclave of Carroll Park with it’s lovely historic homes and idyllic peaceful aura. 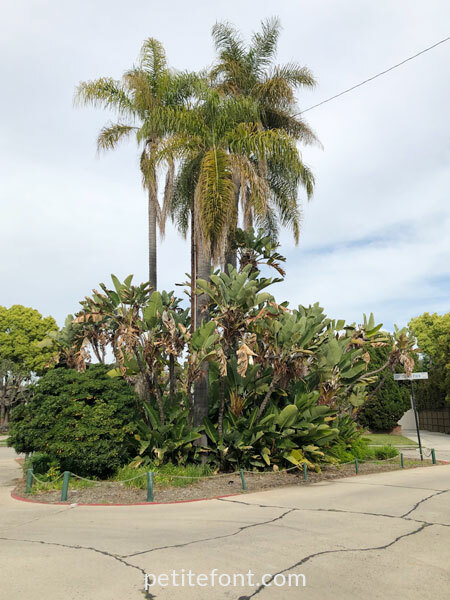 Carroll Park is a Long Beach Historic District, having been mapped out by John Carroll in 1907 though some of the houses date as far back as 1898! The winding streets discouraged farmers from wheeling their carts through the area on their way to market, keeping the horses from kicking up dust. Though the streets are fully paved now, small green lots divide the curving streets so traffic remains slow and at a minimum. The beautiful architecture of the homes here competes with some of the best in the city (I’m looking at you, Pasadena!). 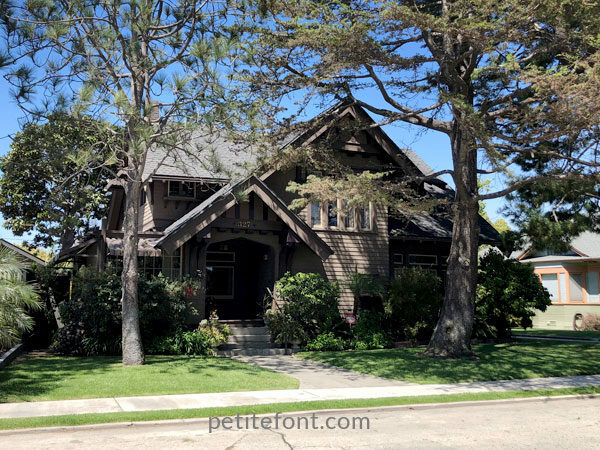 You can enjoy original Craftsman homes (both cottage size and gigantic), Victorian, and just about anything else in between. Head west down 3rd Street and you’ll come to the Alamitos Branch Library just west of Cherry Ave. Though its history dates to 1895 the current building opened in 1929 and was built to resemble a Spanish castle. 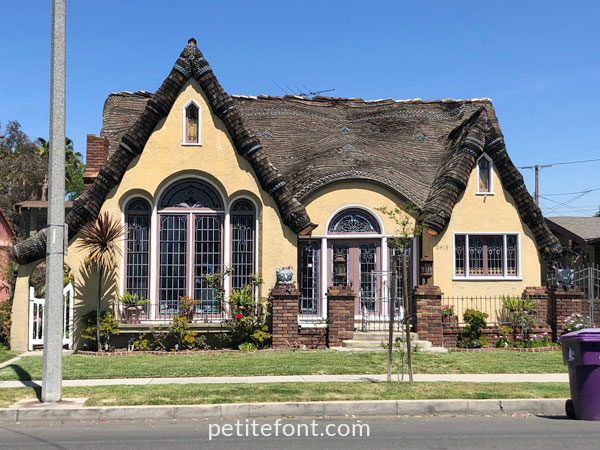 Anyone familiar with the Spanish style architecture popular in California will recognize the terra cotta roofing and wrought iron details. But the true gem of the building is actually through its doors. 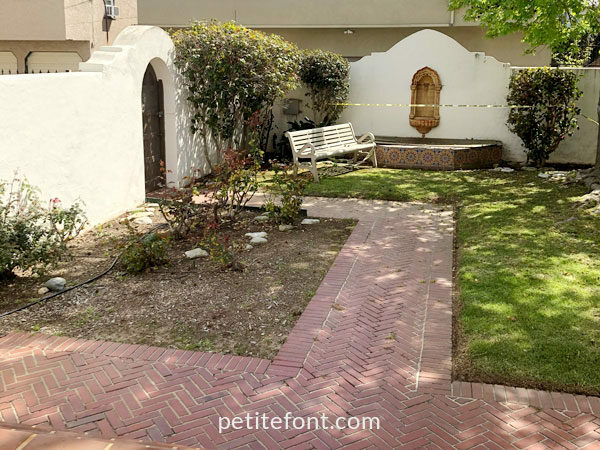 The library has a small reading garden on its back patio. To enter you get to pass through period stained glass doors to enter. The area is currently undergoing repairs but will be lovely to enjoy once it reopens. Continuing west down 3rd Street for a block and a half and you’ll come to Fire Station #2. 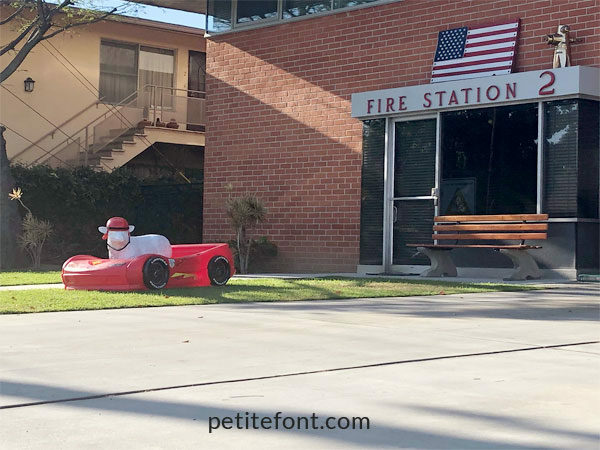 Located at Gaviota Ave and 3rd Street, the firehouse has its own mascot! The popular plastic sheep is known as Zeep and has its own Instagram account! Zeep has been on many adventures. 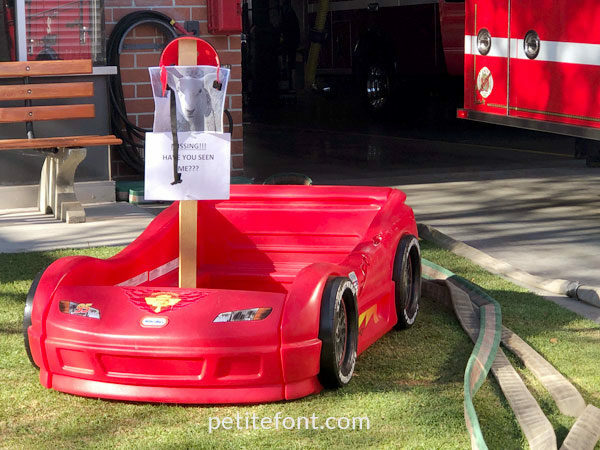 Unfortunately, someone stole Zeep during last weekend’s Grand Prix race. This isn’t the first time Zeep disappears, though. Hopefully, he’ll return shortly. And that’s a quick neighborhood tour of Alamitos Beach, Long Beach. It’s a quirky place, but in the best way possible! How are you getting your 10,000 steps today? Great post! 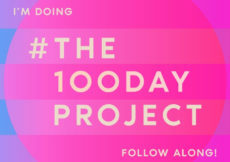 The 100 Day Project seems like a healthy and eco way to explore, I love it! I’ve always wanted to visit California and this is giving me major wanderlust. I also have a mild obsession with rose flavoured drinks. That latte looks so good! This is such a cool idea. I struggle so much to get in even 5000 steps but I am going to try again now that the weather is better.